So, it has finally happened ! We, the great Indians have managed to do it yet again. Only this time, it seems so many fold more preposterous. 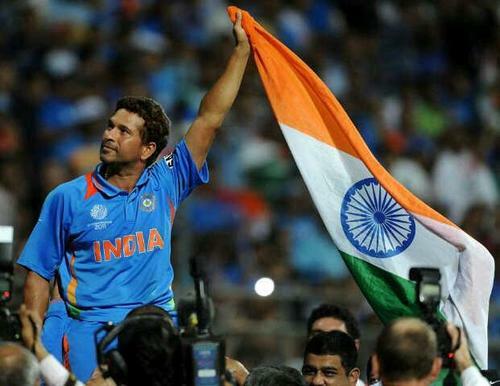 Sachin R. Tendulkar has finally called it quits as far as one-day international cricket is concerned. Something which would comfort and console a lot of ‘well-wishers’ of Indian cricket. It has been for a long time now that people who consider themselves cricket intellectuals have been demanding for Sachin to retire. And the reasons for this demand have ranged from age-issues to dip in form and about making way for youngsters. Age ? I didn’t know there was a certain age of retirement for cricketers. Even if a cricketer is absolutely fit and motivated, how does his age matter ? If anyone in the world, it is a cricketer himself who knows the best about his own body. And no other cricketer could analyze the state of his own fitness better than Sachin Tendulkar. We Indian cricket enthusiasts have forced so many fit and in form cricketers into retirement. 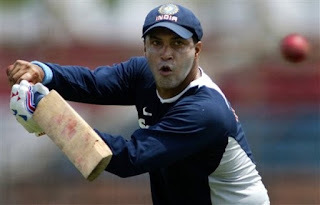 A certain Robin Singh, who is more than double the age of many current Indian cricketers is still fitter and more agile than them in the field. Yet we forced him to retire because of his age long ago. People seemed to have got bored with Sachin. I wonder why we never get bored of the non-performing over-aged politicians of the country as well. It is us Indians who made the man a ‘God’. And then we expected him to work wonders every time he walked out to bat. And just when we saw signs of him being human, we wanted him out. Talking of form, Sachin (being out of form for months) still has better statistics during these last months than many ‘young’ batsmen in the Indian team. But we are so obsessed about our country. We want victories. We want to be proud. I wonder how many of such proud Indian cricket fans can remember the date when India was ranked the No. 1 team in ‘Test cricket’. Or how many people remember the number of days ‘Team India’ remained at rank No. 1 ? But still we want victories. We want to be No. 1. Even if after a victory we forget about it in a couple of days. But how many of us can forget what Sachin did on that stormy night in Sharjah ? Or that six he hit off Shoaib Akhtar at Centurion in the 2003 World Cup ? Or the first double-century in one-day cricket ? Or the amazing set of innings in the 1996 World Cup ? The list is endless. And also unforgettable. The records which he set will stand at the top of the world for generations with (IND) written along his name. Something which would be permanent. Wouldn’t that be what would make any Indian proud whenever and wherever ? There were talks of Sachin being selfish. The popular concept going around was - ‘one should retire when one is at the peak of form rather than at a time when out of form’. Now, aren’t these two contrasting logics ? I always thought, if one retires at the peak of his form, isn’t one being selfish to put himself first by going away with everything good around him for the sake of his image ? Shouldn’t he be rather serving the country when he is at his best ? And Sachin endorsed exactly this logic sometime back when asked about his retirement. People have become completely materialistic. I think us Indian don’t even know what happiness is. Consider the following two scenarios. The Indian Team scores 300 singles batting first in a one-day match. And then restricts the opposition at 180 for 2 in their 50 overs and wins the match. The Indian Team scores 220 runs being all-out in 40 overs where a Sehwag hits 80 off 35 balls. But loses the match as the other team scores 221 for 9 wickets on the last ball of the match. Now which of the above scenario would one prefer. I’m sure the average ‘well-wisher’ of Indian cricket looking for pride and victory would happily opt for Scenario A. It is evident that people have forgotten the essence of sport. While a victory is certainly to be rejoiced, a loss is an experience to learn from and improve oneself to be better prepared the next time. But people today are simply intolerant to loss. The are happy to have hollow victories. Even if they come in the form of a ‘Duckworth-Lewis’ rule. And for the want of such hollow pride, we don’t even think before dismissing those who gave us moments to cherish for a lifetime. People say that the veterans have to make way for the youngsters. But where are the youngsters ? There is still not a single replacement of a Dravid/Laxman/Ganguly/Kumble in sight. If there is, he’ll not need to have a way made for him. Sachin didn’t require a veteran to make way for him. Neither did the other greats. Their merit got them through. People talk of Virat Kohli. Ok. He may have loads and loads and loads of talent. He may help India win many matches. He may even surpass all of Sachin’s records (which I think he never will). But he will never have the same class. And so he will never motivate me. Class and character don’t come with success. They are inherent to a person. Unlike a Virat Kohli, Sachin never needed to jump in the air, jab a punch and shout abuses when he completed the run for his first century. And neither did he need to after any of his 100 centuries. Humility and discipline are the hallmark of greats such as Sachin, Dravid, Laxman, Kumble, etc. But the Indian cricket fan gives a boot to such virtues. Dear Indian cricket fan(atic), God gave you a ‘God’, but you couldn’t even respect him. So rejoice, you ungrateful lot, in your delusion of cricket-fanaticism. I’m done with it. What you really deserve is nothing more than ‘IPL’. Yes, they would never understand what real cricket is. Thanks for reading and liking the post. Obviously, there would have been some day when Sachin would have retired. But what hurts is how he has been forced to do so against his wish. He wasn't even allowed a befitting farewell. Thanks for reading and for your valuable feedback. Trust me, me and my husband were discussing the same thing today morning. I so agree with you on your views about fickle minded fans. Perhaps we are always in search of new heroes. Yes, and I think it's fine to search for new heroes. But what is disturbing is the way such 'fans' convert old heroes into villains. In fact the other day I saw people commenting on your blog about how the retirement was being unnecessarily being delayed. It hurts to see such ungratefulness by people. I think such people don't deserve heroes.